CAIRO, EGYPT - DECEMBER 23, 2017: Tallat Harb square located in business district of the city, it boasts European architectural style, numerous stores and cafes, busy traffic, on December 23 in Cairo. hd00:35CAIRO, EGYPT - DECEMBER 23, 2017: The noisy evening Talaat Harb square with fast traffic and people, walking across the road, on December 23 in Cairo. hd00:25CAIRO, EGYPT - DECEMBER 23, 2017: The evening Talaat Harb Square with its fast traffic, old European-styled mansions and fashion stores, on December 23 in Cairo. 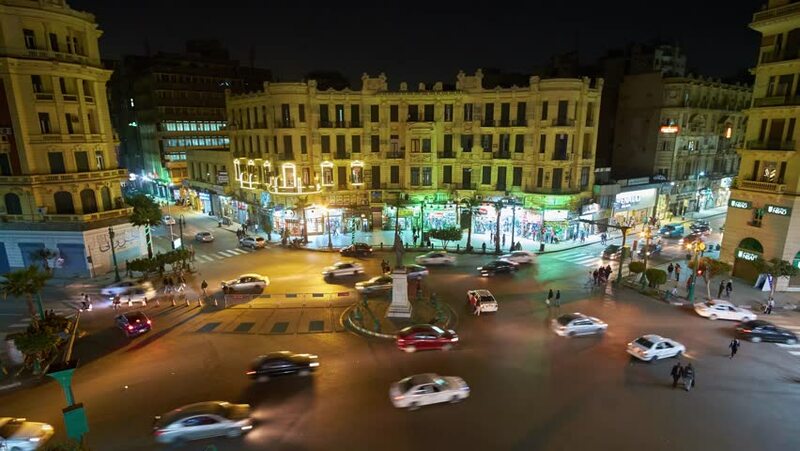 hd00:33CAIRO, EGYPT - DECEMBER 23, 2017: Talaat Harb square boasts outstanding architecture and symbolizes welfare of Downtown district, on December 23 in Cairo. 4k00:17CAIRO, EGYPT - DECEMBER 23, 2017: The twilight sky over the busy Talaat Harb square, the heart of European business district with heavy traffic and Colonial edifices, on December 23 in Cairo. hd00:17CAIRO, EGYPT - DECEMBER 23, 2017: The fast paced life of Talaat Harb Square with bright stores' showcases, numerous cars and chaotic pedestrian movement, on December 23 in Cairo. hd00:10Boats traffic on Grand Canal in Venice in a summer night, Italy. Time-lapse. Timelapse video.